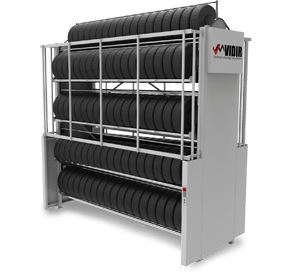 Vertical Tire Carousel | Donnegan Systems Inc.
Vidir’s Tire Carousel is the ultimate tire storage solution for organizing, storing, displaying and accessing tires efficiently and ergonomically. 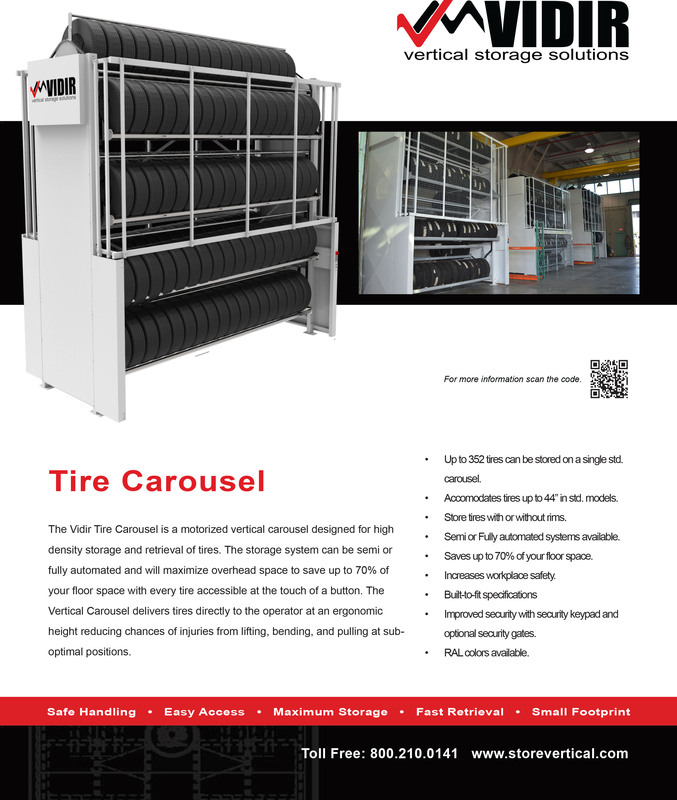 Semi-automated vertical carousels that deliver tires to the operator at an ergonomic height, eliminating the need for ladders, forklifts, and other dangerous retrieval methods. The motorized Tire Carousel can safely store a large number of tires of various sizes, greatly increasing onsite tire storage capacity. This tire storage system fully utilizes overhead space to recover up to 70% of the floor space required by more traditional storage systems. Implementation of the product- to -person principle eliminates wasteful and harmful steps for stocking and retrieving tires. The Tire Carousel delivers tires directly to the operator eliminating the need for otherwise hazardous retrieval techniques such as ladders and forklifts. Additional benefits are realized from ergonomic access points resulting in a reduction in physical requirements to handle heavy and bulky tires. 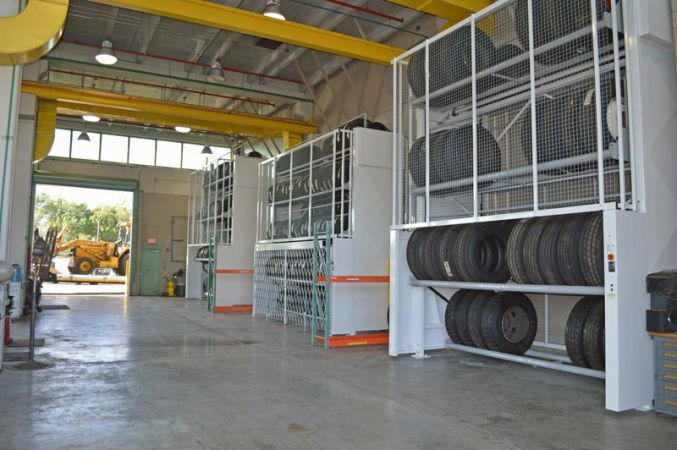 This tire storage system fully utilizes overhead space to recover up to 70% of the floor space required by more traditional storage systems, making it the most efficient way to store tires.